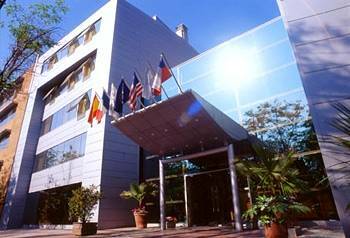 Bringing a European style and feel to Santiago, the Hotel Eurotel is located in the Providencia business sector of Santiago, situated near the Civic Center on a quiet residential street, yet close to two subway stations, banks, shopping, restaurants, pubs and nightclubs. The hotel's Eurocafe features French Cuisine. Hotel amenities include complimentary breakfast and cocktail hours, courtesy transportation to shopping malls, massage, fitness facility, spa and Jacuzzi tub, laundry and babysitting services, a business center and meeting rooms.